ICC World Cup Cricket2011 started on 19th of February, 2011 and will end at 2nd of April, 2011. Bangladesh is already out of the tournament with 3 wins and 3 loses before qualifying for the Quarter Final. But the World Cup Cricket 2011 will be remembered by the Bangladesh people for a long time since now as Bangladesh was one of the host. A few audio album released by Bangladeshi singers for world cup purpose. When you are buying online sometime you can use Coupons to get some discounts. The company supplies Coupons for the promotion of their service. These coupons are often called as promo codes, discount codes, e-voucher etc. The online retailers often mail the coupons to the client’s email, so the customers find some interest and come back to buy products or services from them. This way they extend their business. You can put the coupons and can save a decent amount while buying things from online. Interesting? Yes it is. Some sites like are serving the opportunity, where you can get all these discount coupons easily. Coupon Croc is providing this for you. This was the first match of World Cup 2011. It was a big match indeed. There was a lot of talk before the game. India could remember their nightmare defeat against Bangladesh in the last world cup group match. But as the match starts, it was all Sehwag. He made a blistering hundred (175 from 140 balls) and easily took the match from Bangladesh. Don’t forget the unbeaten hundred from Virat Kohli (100 from 83 balls). India reached 370/4 in 50 over. After a poor bowling performance from Bangladesh, they were much better in their batting performance. In one stage Bangladesh were 55/0 in just 6 over but could not get going after the first wicket fall. Chasing a mammoth total of 370 they managed to get 283. Thanks to Tamim (70 from 86 balls) and Shakib (55 from 55 balls) for the fifties. Shakib al Hasan decided to field first after winning the match that proved totally wrong at the end. Bangladesh lost by 87 runs. Bangladesh was the favorite for this match. To qualify for the next round, Bangladesh eyed that match. Ireland is an associate member of ICC. Shakib al Hasan won the toss and elected to bat first. Bangladesh was going really well with Tamim’s bat. They were 41/0 after 5 over. Then they started to lose wickets in a regular interval and could manage only 205 to defend after the loss of all 10 wks in 49.2 over. Both Rahim and Rokibul scored 30 odd runs each. It was an exciting chase from Ireland. They were hoping for a win but could not because of Shafiul. In his second spell, Safiul took 4 wks (8-1-21-4) and won the game for Bangladesh. Before getting all out Ireland managed to get 178. Bangladesh won by 27 runs. The spectators were ecstatic. The cheered every wks and dot balls for Bangladesh. They made the win for Bangladesh. After the match the people came out to the road and celebrated the winning. It was a very proud moment for Bangladesh. Tamim was man of the match for his 44 runs. Bangladesh won the toss and elected to bat first. Despite of wining the toss, nothing went in Bangladesh’s way. Bangladesh was all out for only 58 runs, which was the lowest total of Bangladesh in their ODI history. No player could resist against the West Indian bowlers. West Indies won the match for 9 wickets. A lot of blaming came in Bangladesh’s way after the match. Even the crowd joined the party. Some people pelted stones to the player’s team bus being frustrated in their way to the hotel after the match. Chris Gayle immediately tweet the incident by Twitter and the news spread thorough internet quite faster. This was unexpected behavior from the crowd. The showed their emotion but in a wrong way which embarrassed us in front the whole cricket world. The next day, some people gathered in the hotel gate and apologized to West Indies team on behalf of Bangladeshi cricket lovers. After that heavy defeat against West Indies, it was tough for Bangladesh to come back. The next match was against England and it was a must win game for Bangladesh. England was sent to bat first and they managed only 225 runs in the scorecard. Trott (67) and Morgan (63) only looked strong in front the Bangladeshi spinners. Once again Bangladesh made a good opening partnership but was lost in the mid over. Once they lost their 8th wks in 169, it seemed like all over. But the Shafiul magic was still to be displayed. In the 9th wk partnership Shafiul (24*) and Mahmudullah (21*) made an unbeaten 58 runs partnership and reached to the destination. Bangladesh won by 2 wickets in a crunch match. Imrul Kayes was man of the match for his 60 runs. It was rather an easy win for Bangladesh. Bangladesh easily chased down Netherlands’s 160 at the end. So a convincing wins for Bangladesh. Imrul kayes is the man of the match for the second time in a row for his unbeaten 73. This was a must win game for Bangladesh to qualify for the Quarter Final. South Africa won the match and decided to bat first. They had a decent start and reached 284 in 50 overs. For Bangladesh it was tough to chase as 284 was a very defend able total. Bangladesh could think Dale Steyn and Morkel, two South African main strike bowlers was rested for this match. But guess what, another horror batting performance by Bangladesh and they all out for just 78 runs !! Totally unprofessional !! It was a game for nothing after they lost some quick wickets at the start. Bangladesh lost by 206 runs and kicked out from the tournament. Our share market experienced a totally new kind of development in the trading. It watched both sides of a coin within two trading days. On January 10,2011 we saw a huge selling pressure and a record fall, 600 points in the general index of Dhaka Stock Exchange (DSE) within just 50 minutes of trading. Again in the next day we found the other side of the coin when almost no seller was founding case of most of the shares. At the end of the day’s trading the DGEN, actually, gained 1012 points taking into consideration the previous day’s loss. Thus we witnessed both gain and record decline in index on January 10 and January 11 respectively. It appeared like a circus said a market analyst. The DGEN which was 5367.11 points on January 10, 2010, increased 6249.35 on the same date this year. But in a day’s gap market index soared to 7512.09. The percentage change in one year stood at 39.9 from 16.40 within 2 consecutive trading days. In 2010, institutional sector some banks and non-bank financial institutions showed their investments characteristics like general investors. Over last 2 years, the profit of most of the banks and financial institutions became two to three times more than that of the previous years. 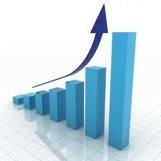 The profit growth was attributed to profit earned from investments in shares. Thus many banks and institutions concentrated on share business instead of investing in their core banking activities. In early December 2010 when general index reached the record 8700 points, many analysts expressed their concern about the overvaluation and syndicated price hike. But that time our general investors were over inspired by the gain from the market. It was seen that most regularity decisions failed to slow down the unending market rally. Investing people became more dependent on rumors than fundamentals of the issues traded on the bursts. Insider traders turned out to be big gainers. Now it is becoming clear to us that there were many other factors that have brought the capital market on the verge of a collapse. Many of us started blaming the regulators. It is a matter of great regret that the SE, the central bank and other shareholders are also blaming each other. This ultimately proves the lack of coordination among them in policy-making and policy implement. Most shares are traded on exchange, which are places where buyes and sellers meet and decide on a price. Some exchanges are physical locations where transactions are carried out on a trading floor. 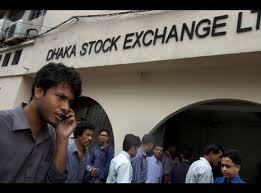 Two trading floor are located in Bangladesh. One Is DSE which is located in Dhaka and the other one is CSE located in Chittagong. We should distinguish between the primary and secondary market. The primary market is the first phase of share where securities created before trading at the floor, which is called IPO. In the secondary market, the investors trade previously issued securities without the involvement of the issuing companies The secondary market is what people are referring to when the talk about share market. Share prices change everyday by market forces. By this we mean, share price change because of supply and demand. Any single time, if more people want to buy a share than sell it, then the price moves up. Conversely if more people want to sell the share rather than buying the share, the price falls. On Wall Street, the bulls and bears are in a constant struggle. A bull market is when everything in the economy is great, people are finding jobs, GDP is growing and share prices are rising. Things are just plain rosy. Picking shares in a bull market is easier because everything is going up. Bull markets cannot last forever though and they can lead investors to dangerous situation is share becomes overvalued. If a person is optimistic believing that shares will go up, he or she is called a bull and said to have a bullish outlook. A bear market is just opposite of a bull market when economy is bad, recessions is looming and share prices are falling.